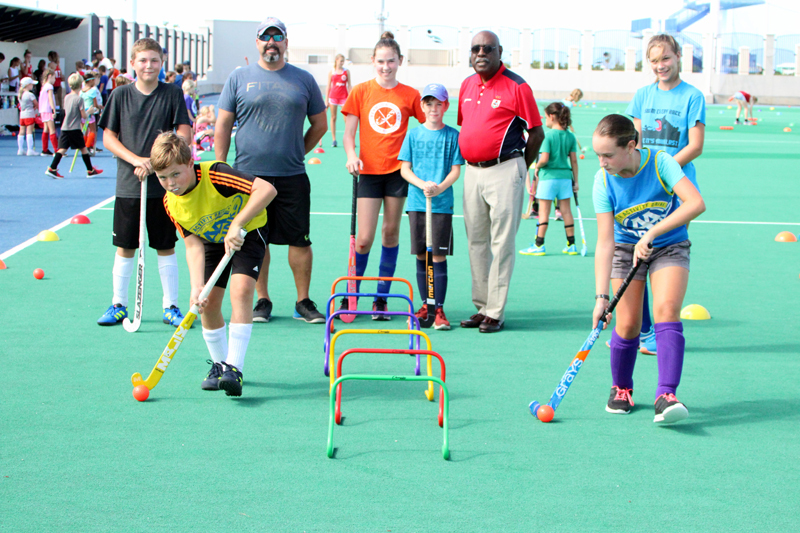 The Bermuda Olympic Association (BOA) announced that the Bermuda Hockey Federation (BHF) has been able to purchase a wide range of new equipment with which to support its training and development programmes, and participation in overseas competitions. The purchase of the new equipment was funded through the BOA’s partnership programme with the Pan American Sports Organization (PASO) that makes new equipment available to qualifying national sports federations free of charge. Keith De Silva, BHF President, said, “We would like to thank the BOA for its continued support. With the help of the BOA, we were able to, for the upcoming season, purchase some much needed equipment to enhance our games and training sessions, and replace aging equipment. The new sticks we were able to purchase will especially assist us with our Saturday junior development programme, which introduces the sport of hockey to students who may not have played before.